We’re having a very hot summer and very little rain. 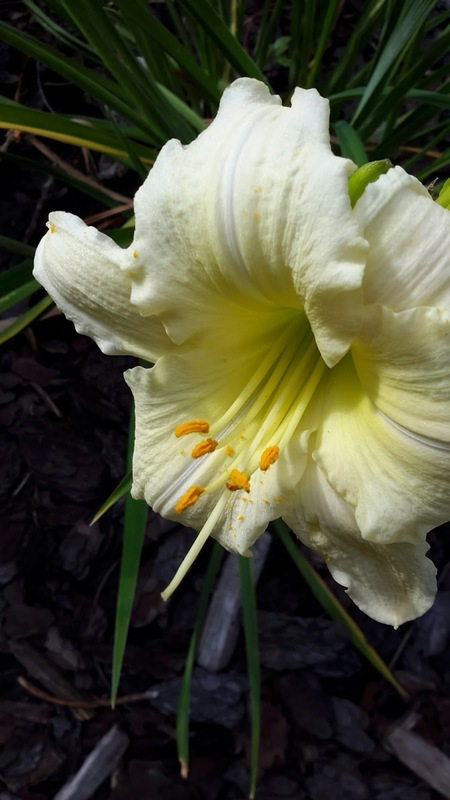 Some of the more delicate flowers will have trouble surviving. We may have lost some coral bells when they just shriveled up. Fingers crossed that we can bring them back. But, there’s one plant you can always count on: the hardy and happy day lily! 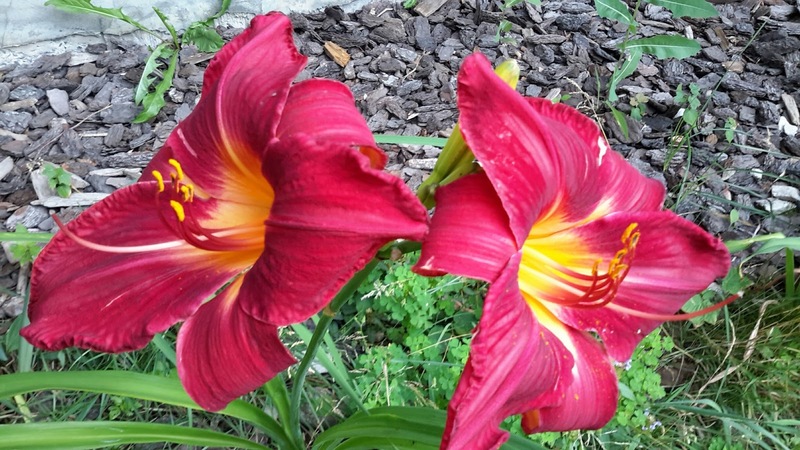 They are the best part of our garden this year (please ignore the weeds - it's too darn hot!). I think they are quite heroic. 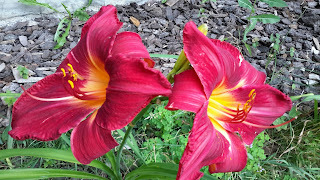 My friend Molly Westin actually has a day lily farm (which I got to see it firsthand as a lucky author on one of Molly’s mystery tours in North Carolina). I am so jealous! Of course, there’s not much in common between the climate of NC and Ontario, but that doesn’t matter. 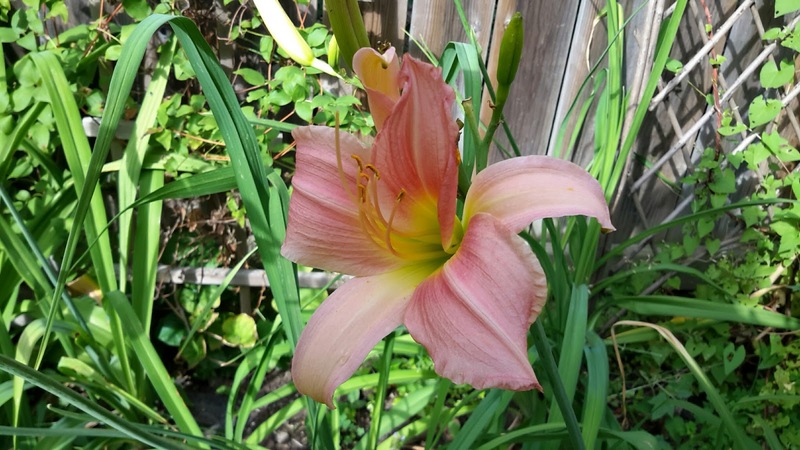 Our day lilies are also doing just fine, from the cheerful and resilient tiger lilies that grow wild in the ditches and on abandoned properties to the snootiest of hydrids, they’re all terrific. To my knowledge we’ve never lost one. We do love this hybrid though! 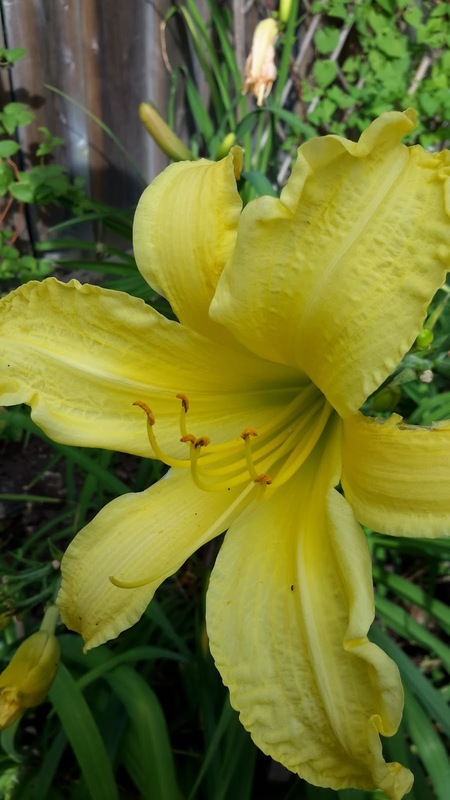 True story: Years back, a day lily was forgotten in an open plastic bag with a bit of soil on the back steps (sorry about that) and spent the better part of a year there trying valiantly to grow on the concrete. It didn’t do too well, but it lived and once planted in the soil with enough sun and water, it flourished again. I am grateful to the day lilies that are starting to fill out around our property. Both the front and back yard were completely neglected when we bought four years ago. The day lilies have helped to fill in many of the bald spots. I did take some from our previous home, just as I took a few from the home before that. I think that flowers give continuity. 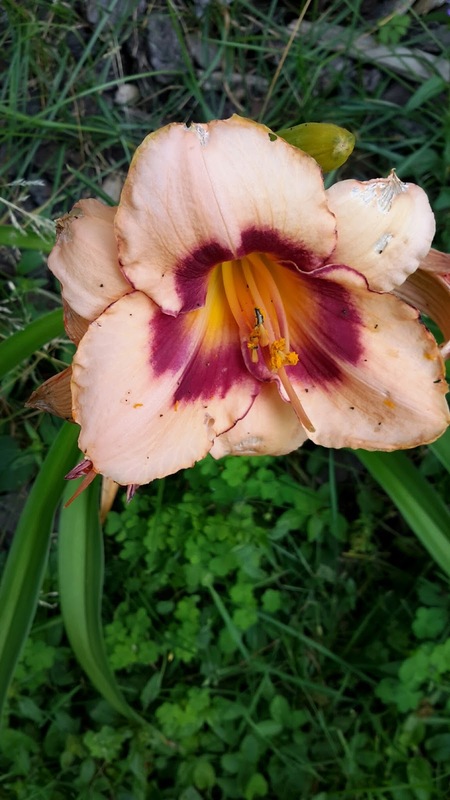 One of my new neighbors gave me a lovely peach and purple hydrid that her friend had developed. It meant a lot to her and that meant a lot to me. A nice welcome, don’t you think? I’m happy to say that by next year, we’ll be dividing the first plants. We’ll pass some on to people who will appreciate them. 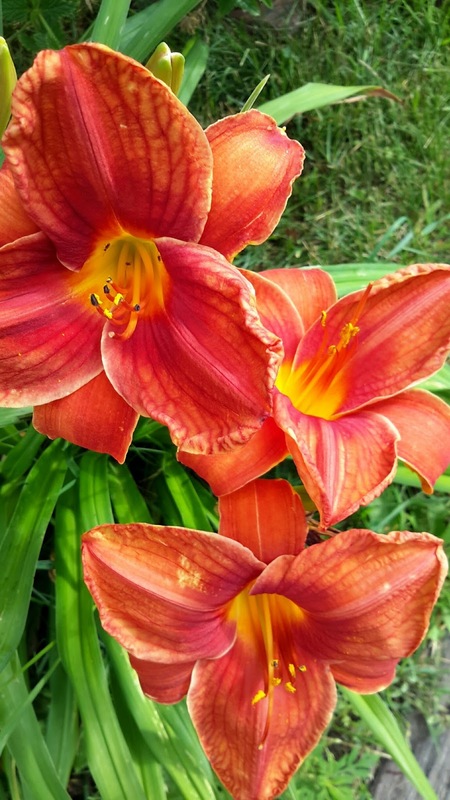 So do you love day lilies? If not, what does make you happy in your garden or someone else’s? Do some of your flowers have special meaning. There is no one right answer! But as you know, we love to hear!